HAVE ANTS IN YOUR HOME? At Gary's Termite & Pest Control, we start protecting your home and yard from ants by conducting a thorough inspection with a focus on areas that attract them or allow them access to your house. We're the area's only Top Choice™ certified professionals and we have a very long list of happy customers who have benefited from a fire ant–free yard since we began servicing them! 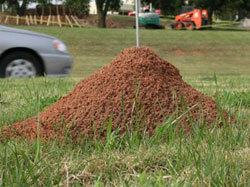 We guarantee total Fire Ant control for a full year! Give us a call and ask how professional–strength TopChoice™ from Bayer will control fire ants in your lawn for a full year. Our team of certified professionals will provide you with a plan to rid your property of these dangerous stinging pests, once and for all. Learn more about TopChoice™ from Bayer. Unlike temporary treatments that need several applications, TopChoice™ takes care of fire ants with a single, professionally applied application. On their web site, you'll find studies and real–life stories that show how TopChoice™ has kept yards just like yours fire ant free for a full year. 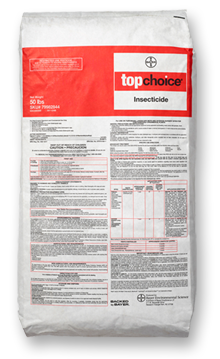 TopChoice insecticide provides single-application control of fire ants for up to a full year. TopChoice controls existing colonies and prevents new infestations. Applied only by professionals, TopChoice is formulated specifically for broadcast application with commercially available spreaders. Carpenter ants are most common in wooded areas, preferring to nest in trees and within the wooden structure of our homes. Contrary to what people may think, Carpenter ants don’t actually consume the wood, they only “chew it away” in order to make room for their growing colony. Therefore, the damage they do is mostly aesthetic, which can be rather costly depending on how active they’ve been before they were discovered. Thankfully, we have a 100% success rate in destroying Carpenter ant colonies by using Termidor™ to treat areas of activity. Because Termidor™ is a non–repellent chemical, the ants will go on about their business and track through it, then unwittingly contaminate other members of the colony before they all die. 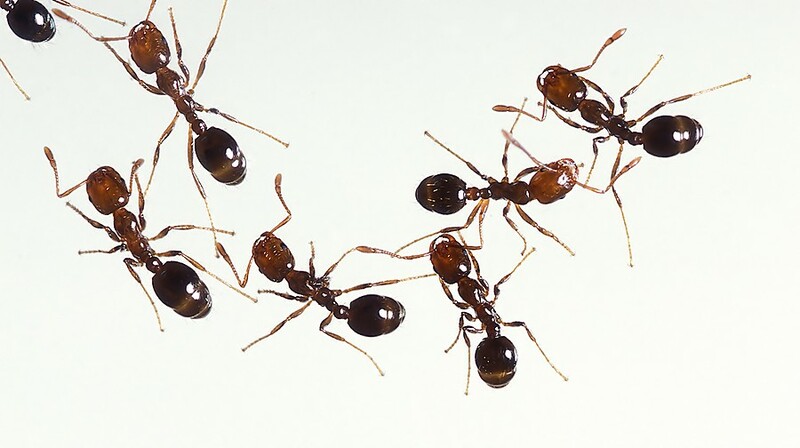 With all other ants (grouped or classified as Nuisance ants), we’ll investigate and identify their kind and then make a determination as to how best to professionally eliminate them with either baits, sprays, or a combination. A: This is a common problem. Unless you know that your spraying will destroy the queen(s) then you’re very likely to run them to some other area. If you’re treating them yourself, then you’re using a “consumer available” repellent chemical which is designed to repel and kill them. However, the problem with using a repellent is that it only kills the ants that get into the repellent chemical–it never destroys the colony unless the repellent can be directly applied to the colony. Another problem with repelling the colony is that depending on the ant species that's invading your home, you may inadvertently repel the colony towards the interior of your home. Tracking them down through kitchen cabinets or interior walls and ceilings can turn out to be very time consuming, and then treatment can require a lot of patience, as well. 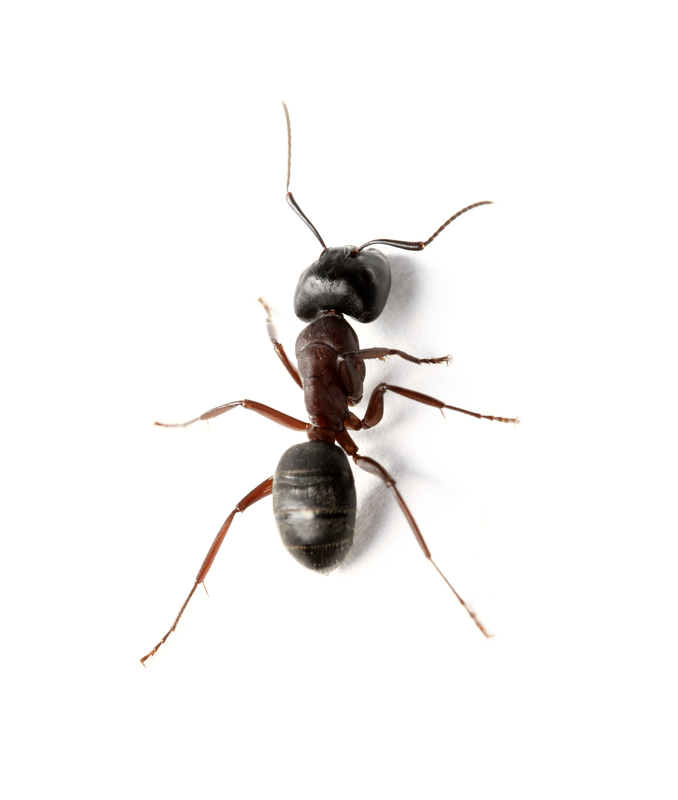 Contact us to treat your pest ant problem so we can get them the first time. Our certified technicians will use their professional judgment on whether to use traditional repellents and baits, or to use newer non–repellents.